Based in Northern Virginia, Karen Becker is an Award Winning Photographer specializing in studio, natural light and on-location portraits throughout Northern Virginia and also DC and Maryland (the DMV area). 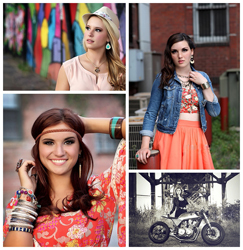 She is recognized for providing natural, creative high school senior portraits that capture each student's personality. She also offers studio sessions. 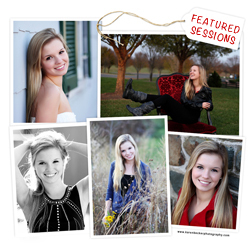 Karen also photographs families, headshots, teens, children, and professionals. Best Senior Photographer in Northern VA, Northern Virginia Photographer specializing in artistic portraits for maternity, newborn babies, baby, child - children, high school senior portraits, senior portrait, senior photography, yearbook photographer, couples, head shots, and family photography. Also baby, child and teen models and actors with or without model agent or modeling agency representation. Commercial and Editorial assignments accepted throughout the DC metro area - Northern Virginia and Maryland. Travel assignments accepted. Works on-location serving high school seniors, families and clients throughout Northern Virginia, NOVA, Maryland, MD and Washington DC. Portrait studio in Northern Virginia. Professional color and black and white ( bw ) photography and portraits - digital. All images copyright by Karen Becker Photography. Serving clients in the following counties and cities throughout the DC metro area. Northern Virginia: Fairfax County: Great Falls, Herndon, Fairfax Fairfax City, Mclean, Chantilly, Oak Hill, Oakton, Springfield, Burke, Reston, Tysons Corner, Vienna, Arlington, Alexandria, Loudoun County: Ashburn, Leesburg, Sterling, Prince William County, Stafford County, Fauquier County (Warrenton and Winchester) and Also DC, Potomac, Georgetown, Chevy Chase, Bethesda, Rockville and all other DC metro suburbs. KAREN BECKER is located in Fairfax County, Virginia.